Al Natural Resort is a rustic oasis in the haven of the Caribbean. A private and most comfortable retreat it is located between tropical forests and the sea, ecologically integrated into the lushness of surrounding nature. 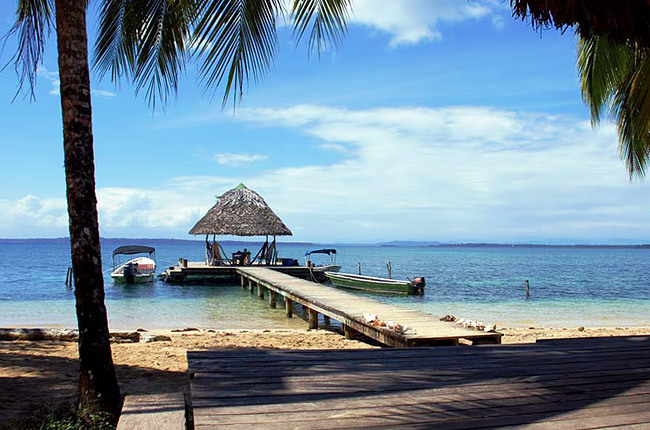 This little unit of paradise lies next to Bastimentos Island Marine National Park, where pelicans may be watched diving into the sea directly in front of your accommodation. I really is a home made for birders... away from home! Come and meet us at our stand 34 in Marquee 1 at the British Bird Fair to learn more.